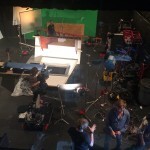 Cast and crew from ‘The Unwilling’ came into Hollywood Camera to film some special effects pick-up shots on our sound stage. ‘The Unwilling’ is a psychological thriller directed by Jonathan Heap, produced by Philip Morton and starring Dina Meyer, Lance Henriksen and David Lipper. If the tag line has any indication, we are in for an edge of your seat experience. David Stump, ASC, the cinematographer for ‘The Unwilling’, is a member of the ASC and his credits include some amazing films. Mr. Stump decided to film the principle photography in 4K with the Sony F65, F55 and FS7 and the Leica Sumillux C primes paired with Fujinon 25-300mm T3.5 and 19-90mm T2.9. 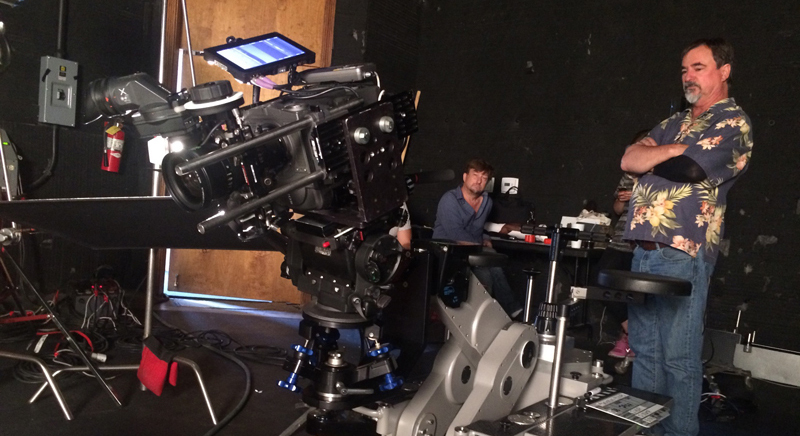 The F65 became particular useful with its 16 bit color depth and all the scenes that had to have visual effects were shot with F65 mounted on a Cinetech Capinera dolly also provided from Hollywood Camera. 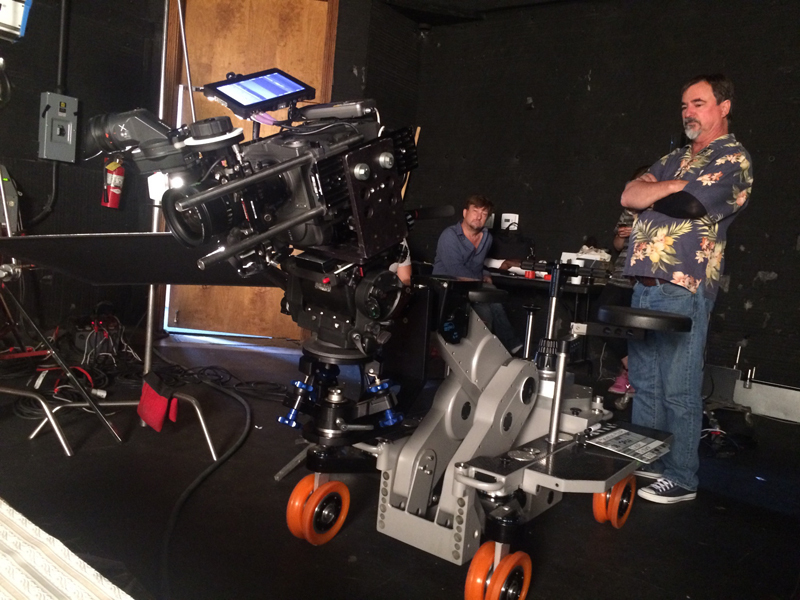 The Sony F55 was used as the camera car and hand held camera, whereas the FS7 was used for the Movi M15 scenes. 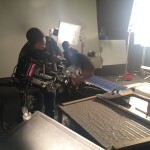 The special effects pick up shots today were for a mirror shot that was needed for a scene. 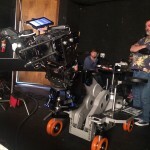 Filming with the Sony F65, and the Fujinon 25-300mm they needed a more heavy duty dolly. 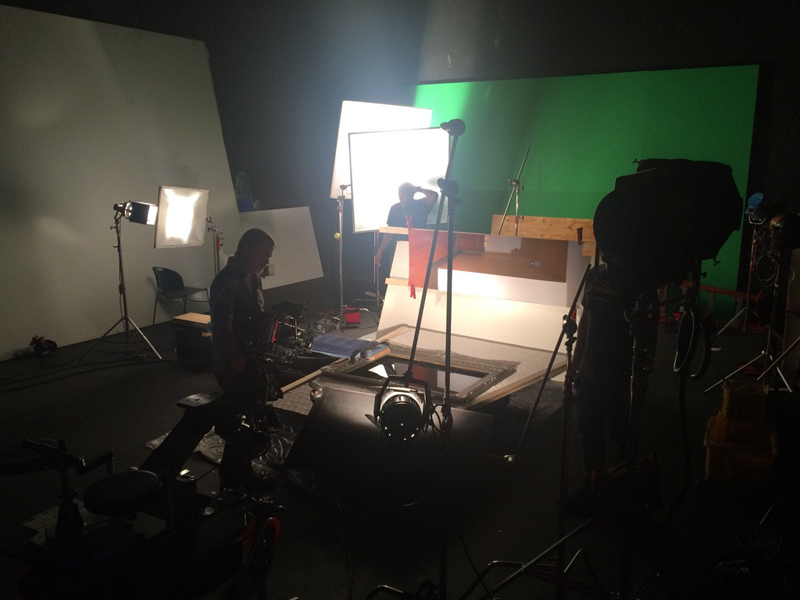 We provided them with the Cinetech Falcon 2 that is usually available for rental to the customers that are shooting in our stage. 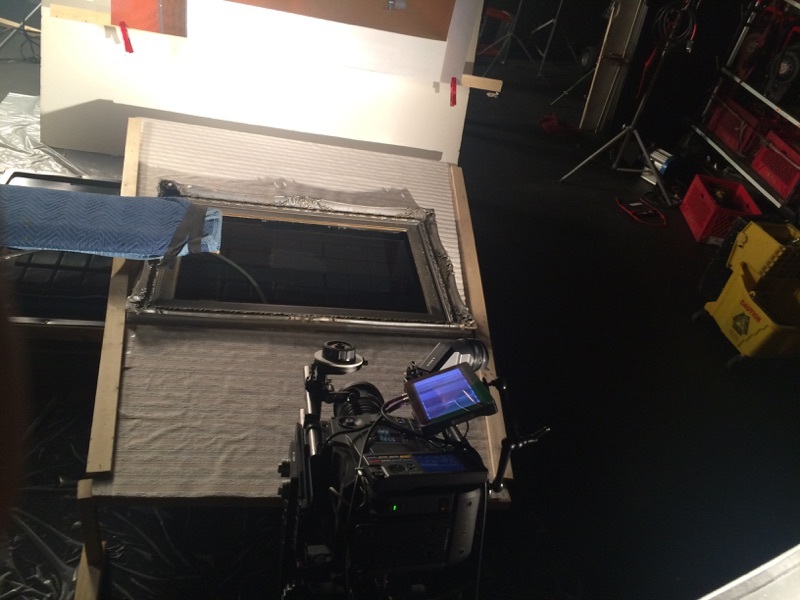 David placed the camera on its side to give you the illusion the footage was vertical, yet the prop and actor were in a horizontal position. 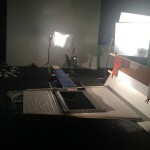 Bertone Visuals, our partner company provided the digital acquisition systems (Dreadnought 4K cart) which allow the DIT not only to store and archive the whole film, but also, to take care of the color management and the transcoding on set from 4K Raw and XAVC to 2K Apple pro-res 4:2:2 codec. The editor for the unwilling is currently cutting the thriller/horror movie in Premiere CC. Gianluca Bertone the president of Bertone Visuals participated as second camera operator and second unit DP, whereas his assistant Marco Paonessa worked as DIT. 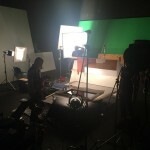 The Unwilling is being edited at the new Bertone Visuals grading room located on the second floor of Hollywood Camera. The editor will import his cut via EDL to DaVinci Resolve where Bertone Visuals and Mr. Stump ASC, will grade the whole feature in P3-DCI (for theatrical release via DCP) and Rec 709 for Internet, TV and DVD applications. 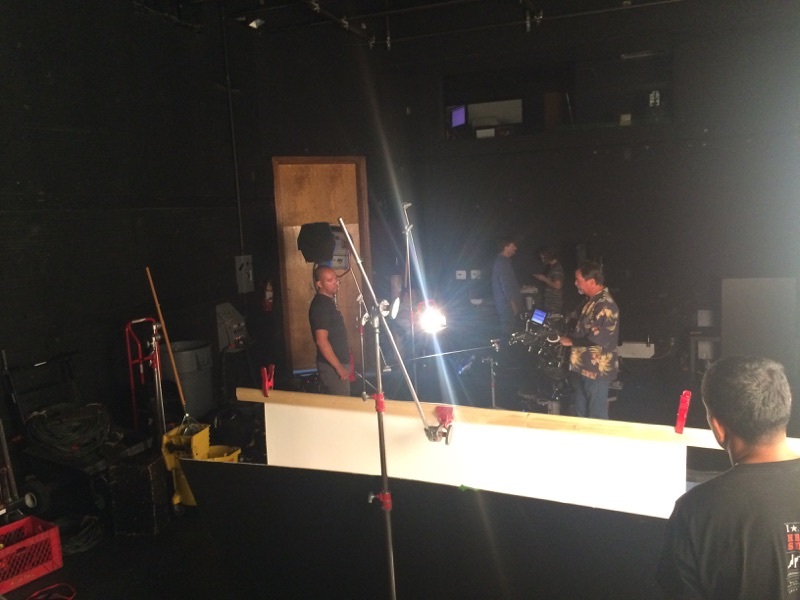 We love having productions come over and use our facilities. 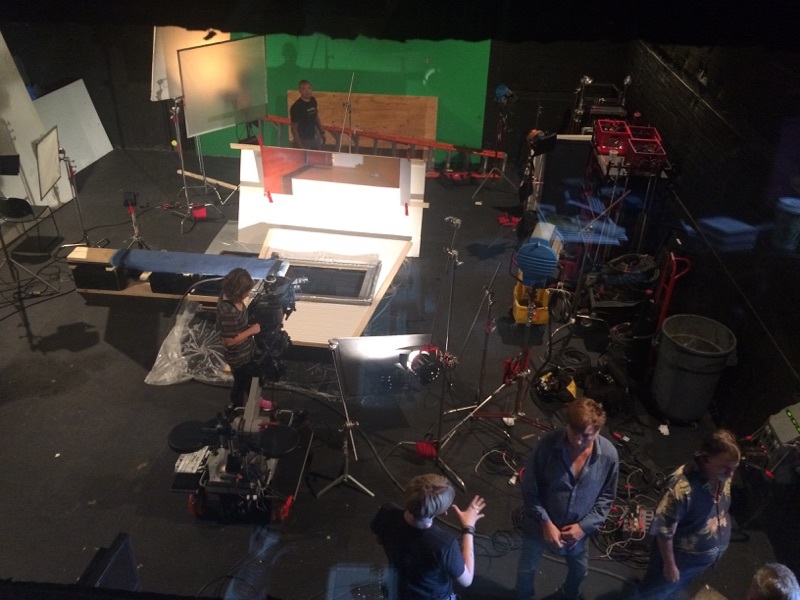 Our 30 x 35 foot sound stage is available to rent for film, commercial and rehearsals. Call one of our rental agents to book you in for a walk through on 818 972 5000. 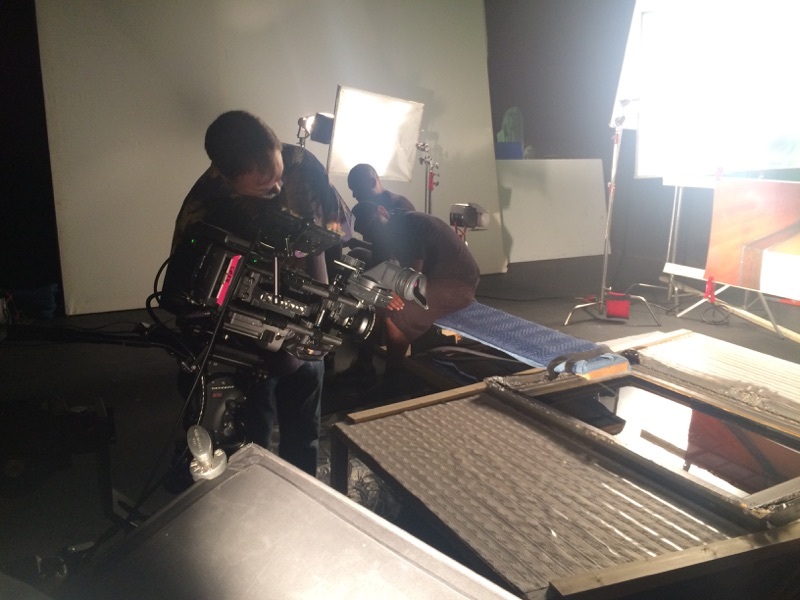 No matter the project scale or vision, Hollywood Camera has the equipment and the facility to ensure that your project is done right and with the professional quality it deserves. 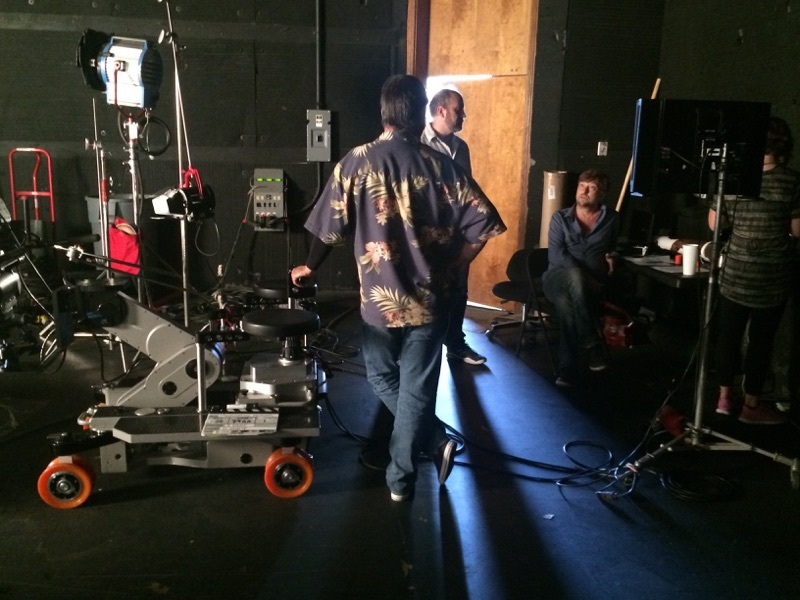 From commercials, to television shows to feature films, Hollywood Camera has the experience, the equipment and the professional support that you need to take your ideas from concept, through production and ultimately help put your dreams in motion. 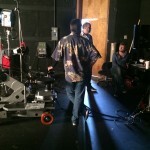 Hollywood Camera moved into its 12,000 square foot rental, production and post facility in Burbank in March, 1997. 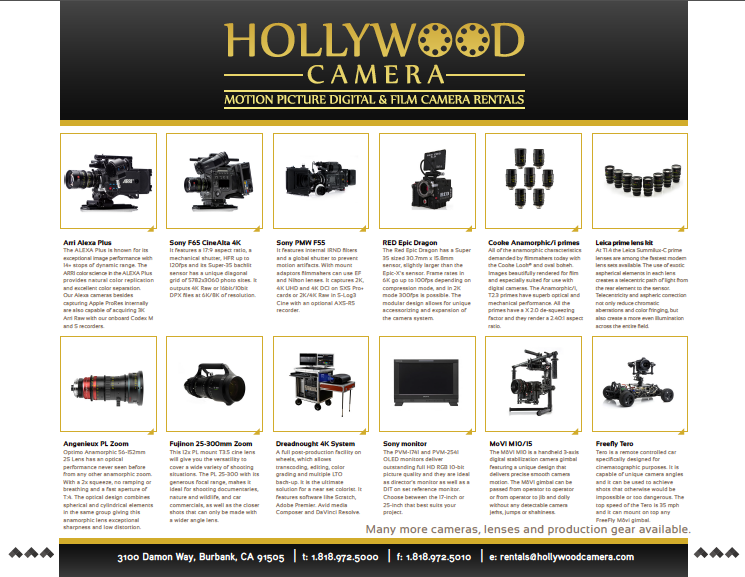 We specialize in motion picture film and digital camera rentals. We take pride in offering exceptional service to our clients and building long term relationships. Our lens collection at Hollywood Camera ranges from some of the all time classics to the latest zoom, anamorphic and primes available on the market. 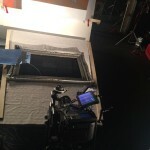 All our camera packages are customized for the productions needs and budgets. 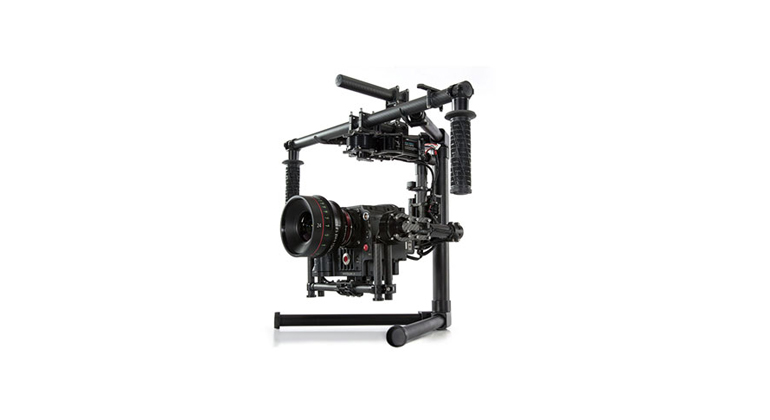 All our products including our MoVi M10’s when returned from our clients are checked over and serviced by our service team in the rental department. Marko is checking over the MoVI M10 by Freefly Systems, making sure everything is in working order so its ready for our next client. 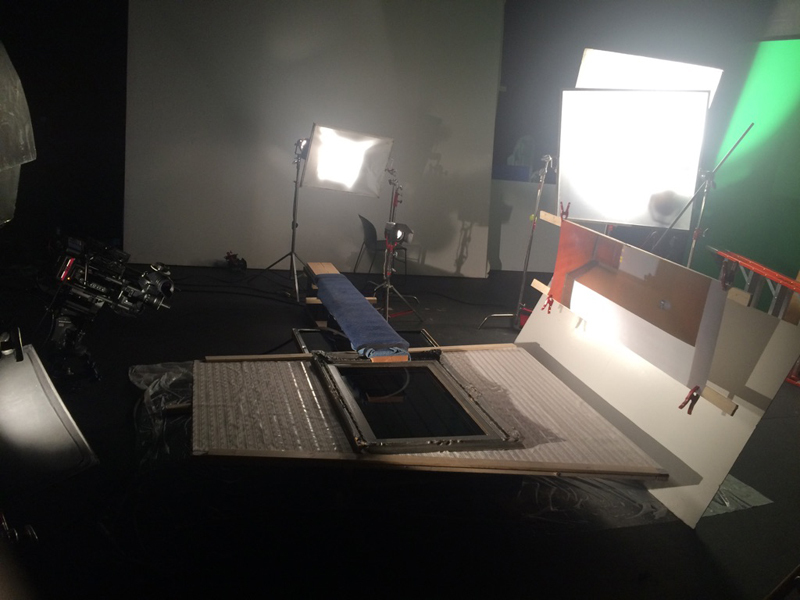 Check out these pictures we put up that show some of the steps needed for the MoVi M10 to be set up. Today he is testing and balancing the RED Dragon with the Leica Summicron-C 29mm lens.